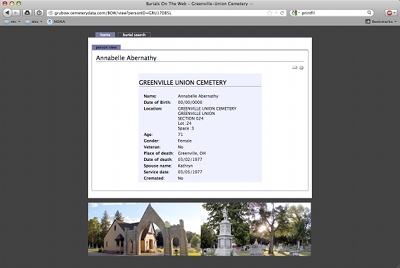 Greenville Union Cemetery now offers an easy way to find burials in the cemetery with Burials on the Web. Simply supply a name or part of a name to search our database. Burials on the Web includes the person's full name, location in the cemetery, date of birth, and service date. You can search for burials here.